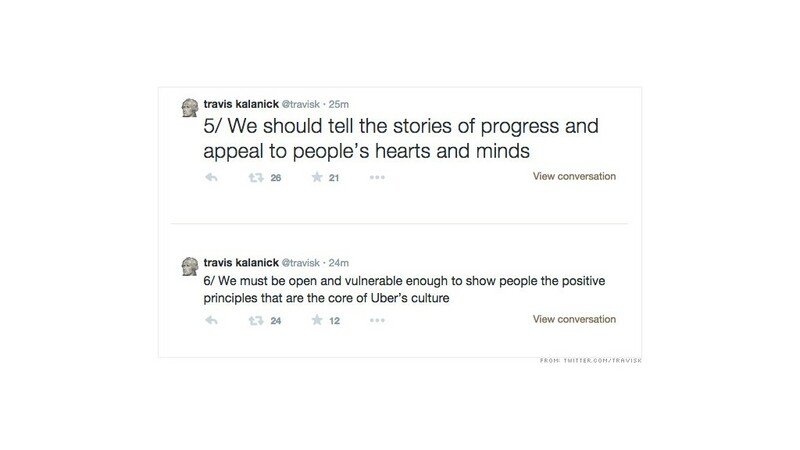 Uber CEO Travis Kalanick tweet-stormed an apology for comments made by a fellow exec. 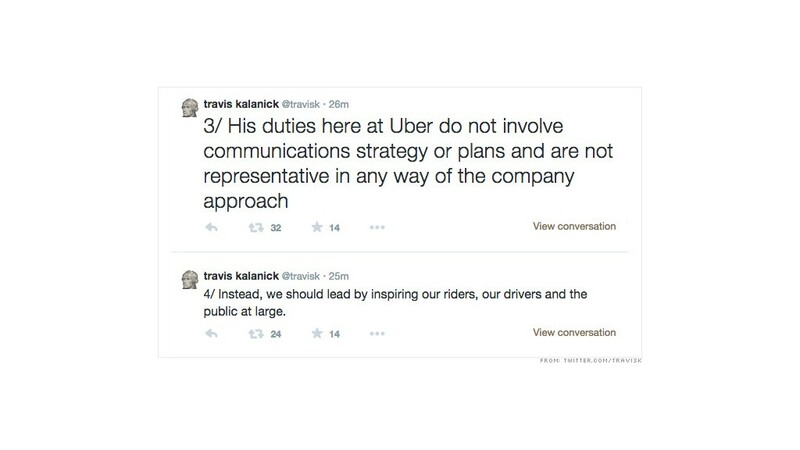 On Tuesday, Uber CEO Travis Kalanick took to Twitter to address comments made by fellow exec. Emil Michael about a theoretical smear campaign against members of the media. 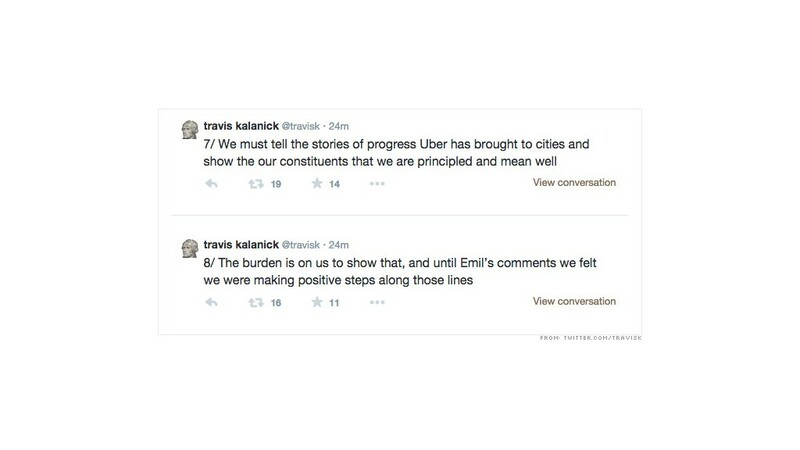 In the tweet storm, Kalanick pumped out tweet after tweet along with a corresponding number to keep track of the CEO's stream of consciousness. There were fourteen in total. 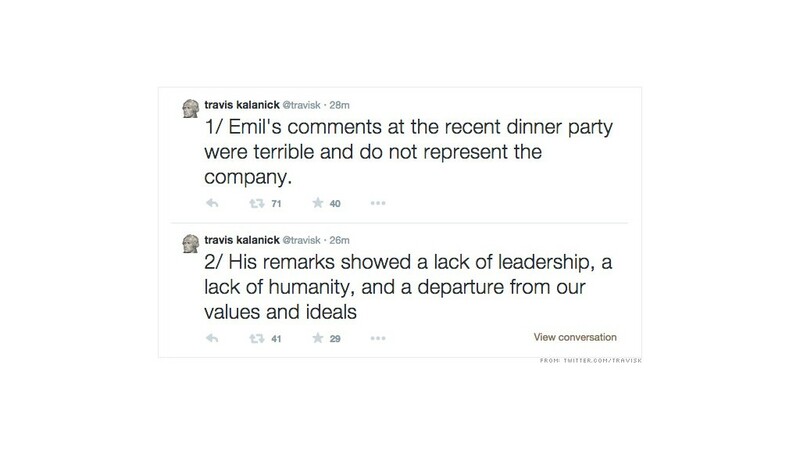 To kick off his Twitter rant Kalanick tweeted, "1/ Emil's comments at the recent dinner party were terrible and do not represent the company." 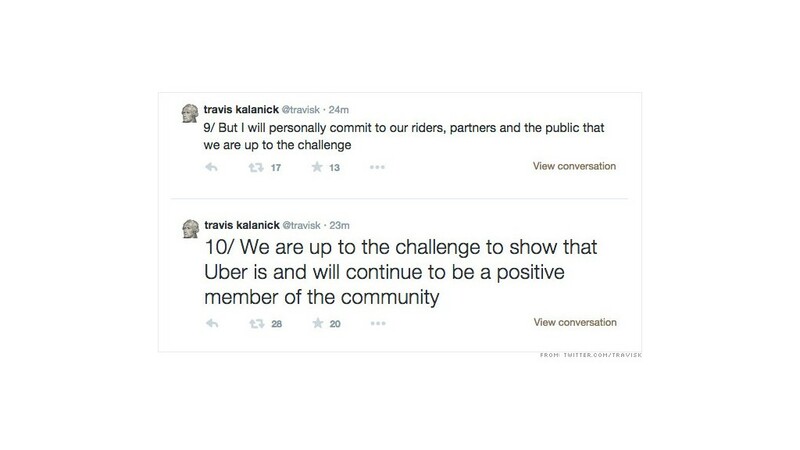 As the tweets accumulated, many on Twitter patiently waited, thinking that Kalanick was going to announce that Michael was fired. 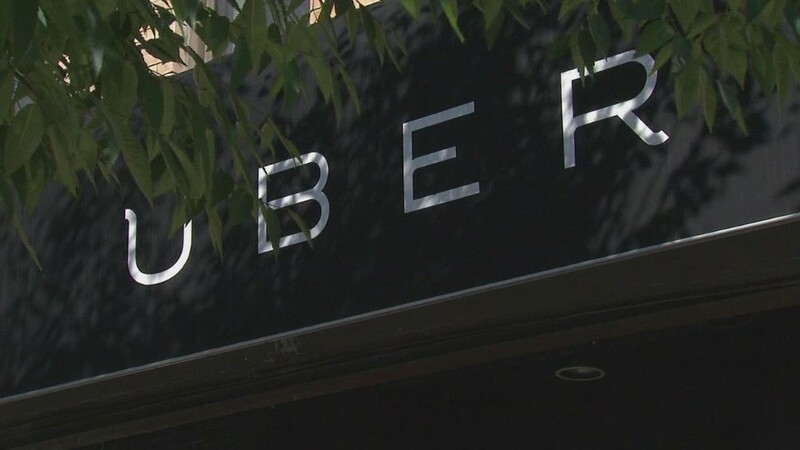 "Here it comes," tweeted New York Times' tech writer Mike Isaac. Others wondered about his choice of forum for this type of mea culpa. "If your message is 10 tweets or longer, Twitter might not be the best venue for said message," tweeted Wall Street Journal reporter Jack Marshall. Kalanick also apologized to PandoDaily Editor-in-Chief Sarah Lacy, who Michael personally called out in his comments on Monday. 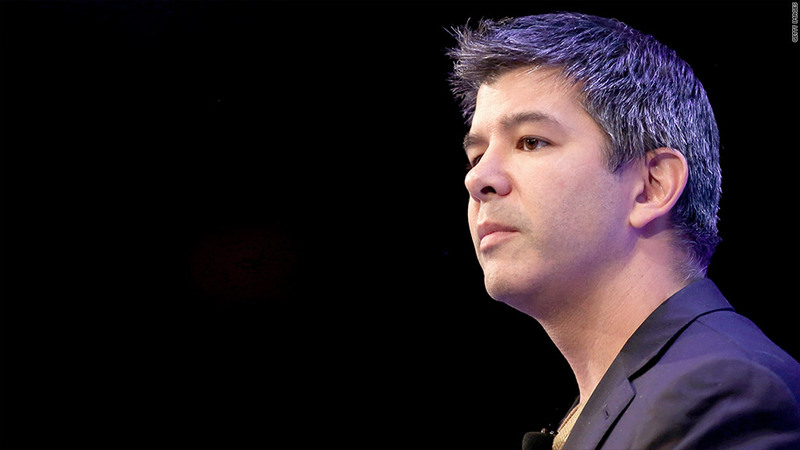 Some on Twitter were upset that Kalanick's rant didn't end with the Uber CEO firing Michael. 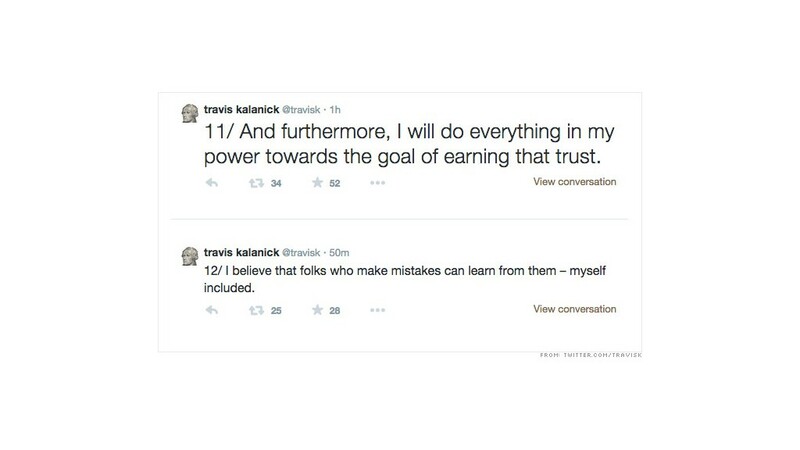 "12/ I believe that folks who make mistakes can learn from them -- myself included," Kalanick said. 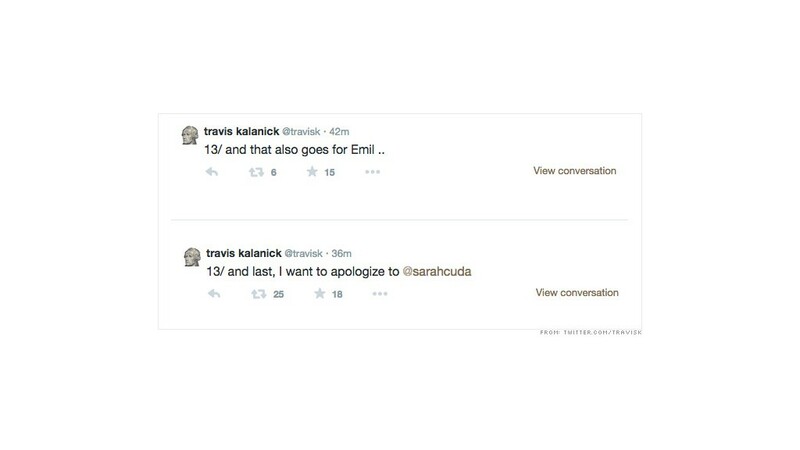 "13/ and that also goes for Emil."